While browsing through Facebook this morning, I saw a good friend post that she had made pizza rolls for her college boys, and it was then that I knew what I was making for dinner. 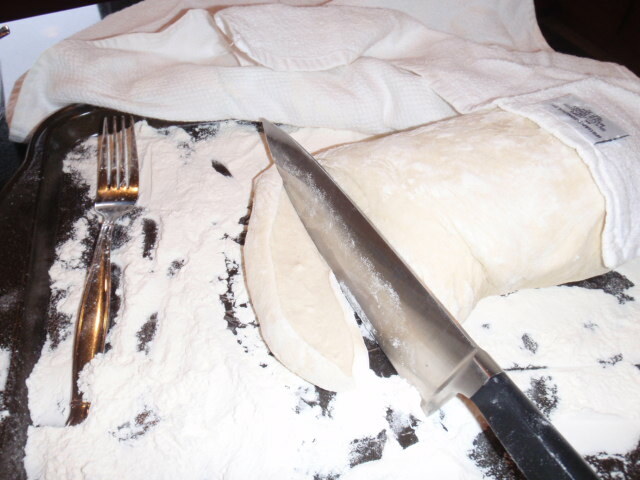 I did a little searching and found a site that offered the perfect Homemade Pizza Crust. 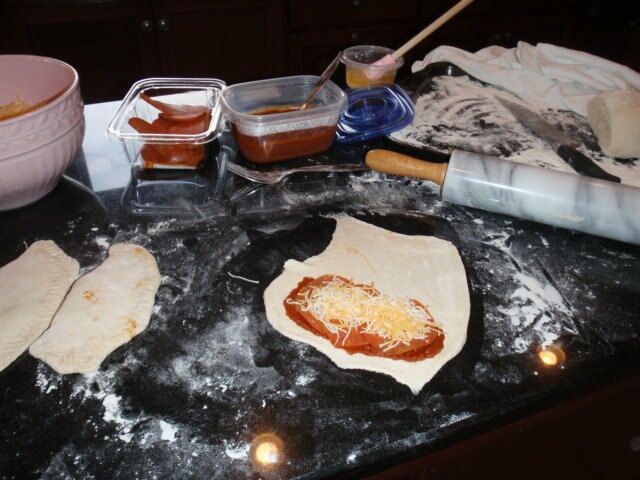 Being the bread maker I am, I could not resist making this dough, using it with my homemade red sauce (recipe to come later) and trying my hand at homemade pizza rolls/calzones. 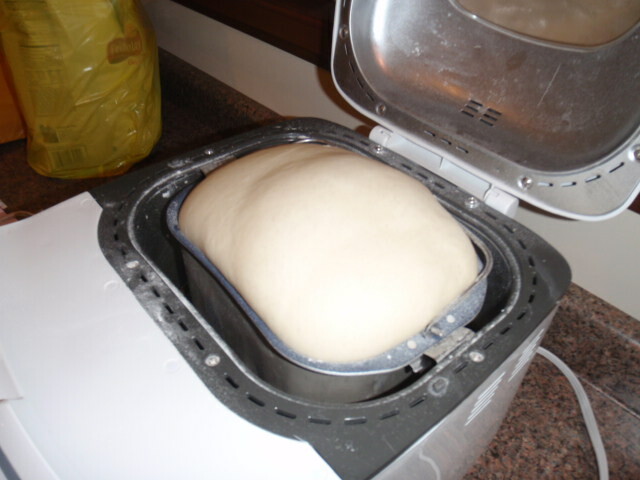 I pulled out the bread maker and had the dough going and had shared it with Joanna within ten minutes of finding the recipe. 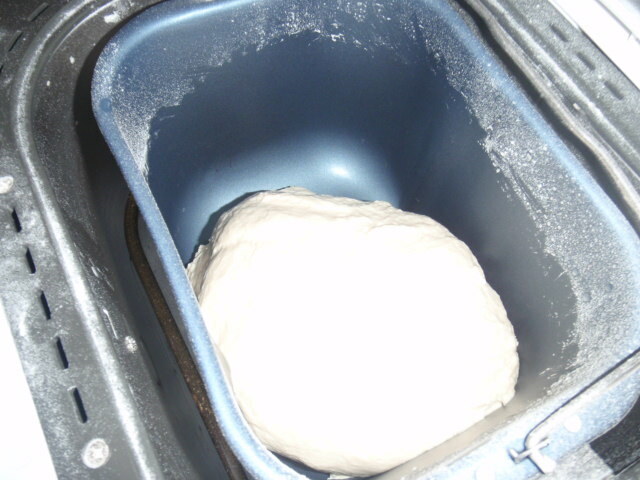 The only variation I made on the dough recipe was that I used basil olive oil, which made the dough smell amazing. 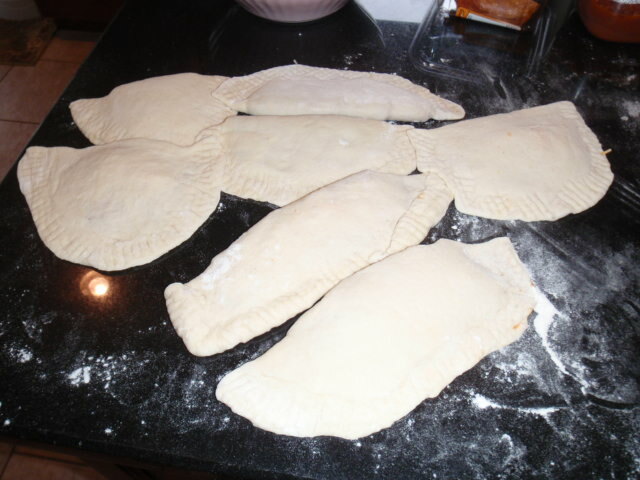 Once the dough was finished and had rested for about ten minutes, I cut off pieces off dough to make the pizza rolls/calzones. I got about 13 rolls from my dough. 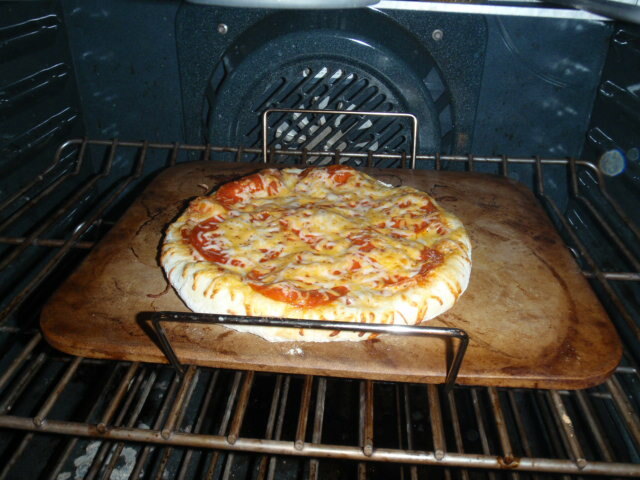 And in a 500 degree oven it cooked up so fast and yummy. I made sure I brushed butter over the rolls right out of the oven; and the consensus was that they were amazing. 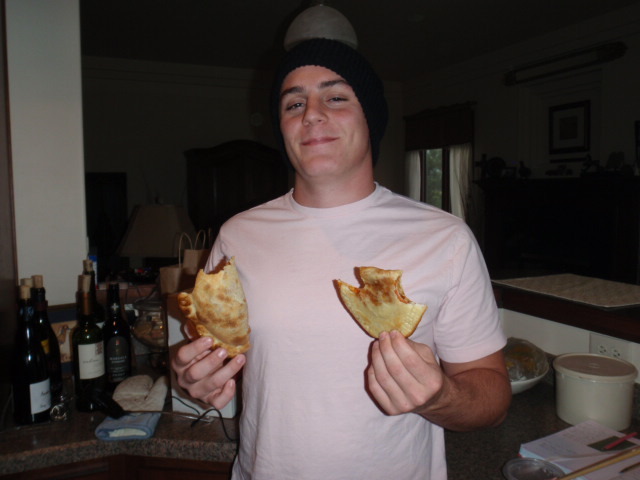 The oldest, shown with a double-fister, said that the flavor was awesome, but he would have liked more toppings inside the calzone and a thicker dough. The husband and youngest said don’t change a thing and that the oldest did not know what he was talking about. A boy-debate did ensue, but they continued eating which is all that mattered to me. And my wonderful husband who has been a Double Dave’s fan for many years gave me the best compliment ever by saying that what I made tonight was better than Double Dave’s Pizza Rolls. I couldn’t believe my ears. 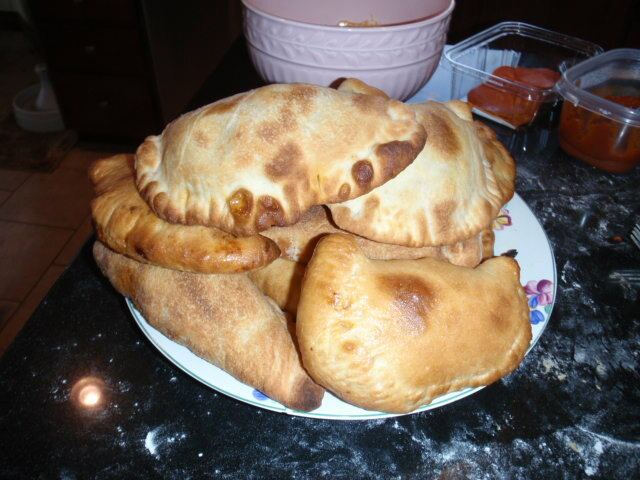 The calzones were such a hit, my youngest decided to make some more dough and use it for pizza. 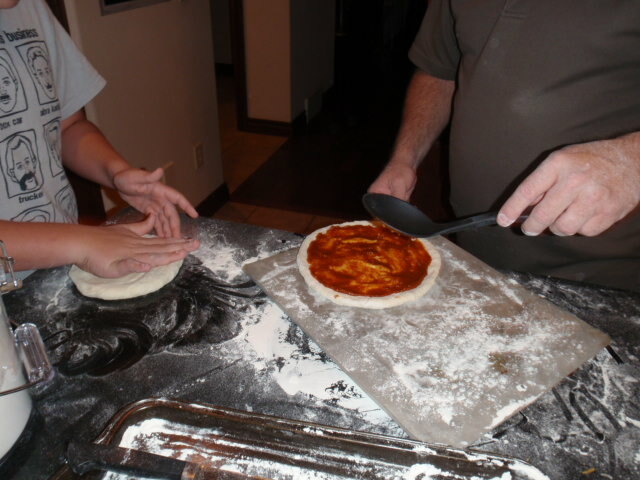 And as you can see by the photos and the video of my very talented husband, the dough was easy to work with and turned into pizza in just a few minutes. 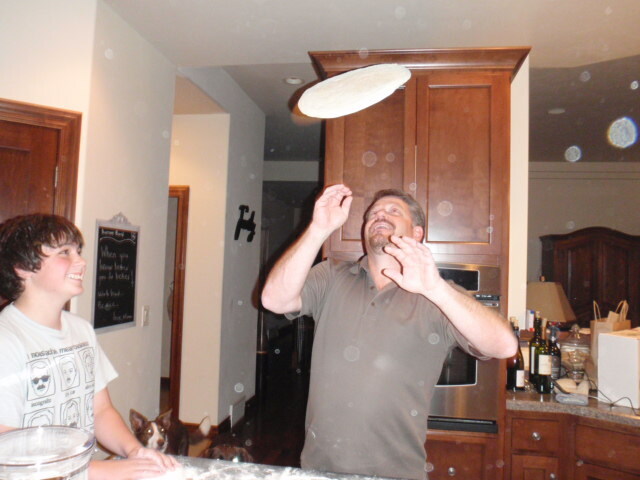 My husband and youngest son had so much fun that I think we may be making pizza and calzones every Friday night for many years to come. Flattery is the greatest compliment! I am so happy to see all of you having an amazing time making these!! I think I will cook mine in a hotter oven next time as I loved how yours looked out of the oven!! Well done! !